Though I have a fondness for handloom cotton fabrics for my tunics, once in a while silk fabrics beckon me. 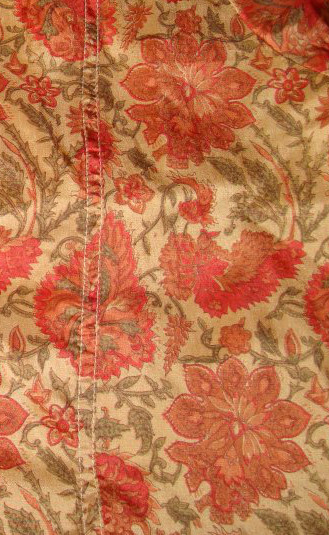 This silk fabric has red floral prints on it. The tunic with an interesting neck line. This type of embroidery which is done commercially with aari needles, will be seen on tunics , saree borders, blouses in India. 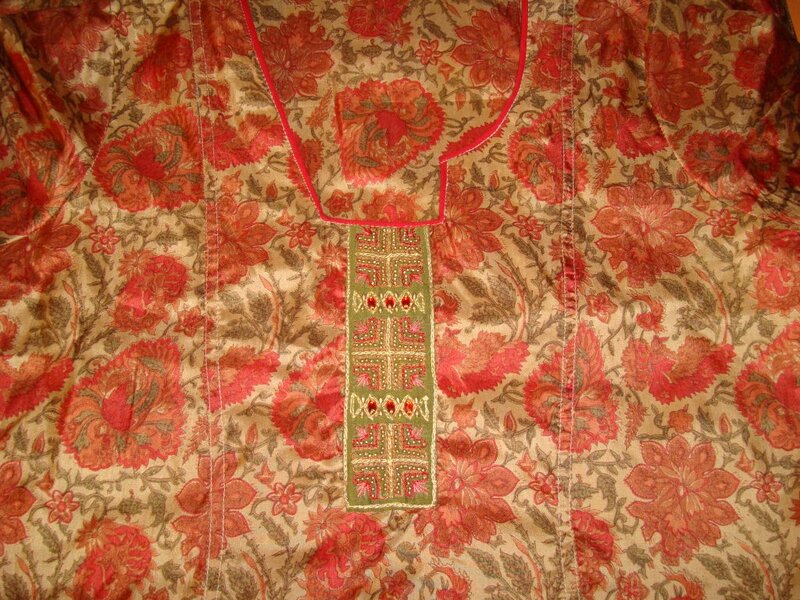 The embroidered piece looks grand on plain silk fabrics.